Already own a home in the Branchwood subdivision? Thinking of selling? Click here and read about current search trends & our web network. Branchwood is a smaller subdivision in Fairhope, Alabama located approximately two miles south of Highway 104 and two miles east of County Road 48. Homes in Branchwood are mostly near 2,000 square feet, meaning they have plenty of room for most families. Branchwood is kind of the suburbs of Fairhope, Alabama, but close to numerous area restaurants, shopping, and entertainment venues. 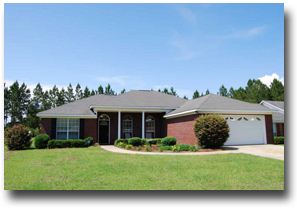 The homes in Branchwood are also a short drive to Mobile, Alabama, which has a regional airport. Please let us know if you would like further info for Branchwood subdivision or any other homes, condos or real estate in the area or would like to schedule a private viewing by emailing aaron@condoinvestment.com or by calling 251-978-3718 for immediate assistance.